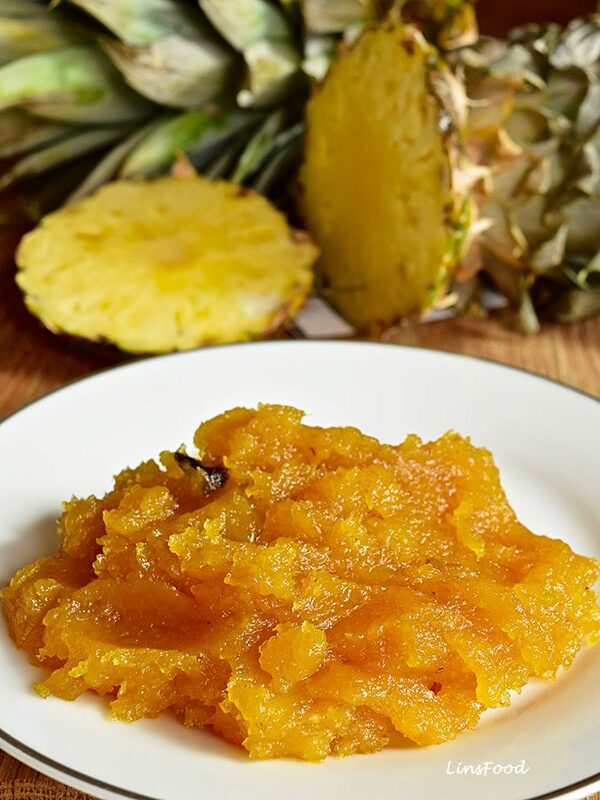 Simplicity itself, this pineapple jam is used for filling our much loved Pineapple Tarts, or Kuih Tart, as its known locally, the personification of the festive cookie in Singapore and Malaysia. No festive season is complete without these tarts! All you do is chop the pineapples up and place them in a food processor and blitz them before cooking down. When we were little, we used to use the old fashioned grater and painstakingly grate every single piece! Warning: gross anecdote coming up! I was grating the pineapple one year to make the jam and tarts for my brother’s family. Had an accident, and cut my middle finger open, straight down to the bone! Ouch. I had tickets to watch Elton John that night, so my first thought was oh no, the concert! Long story short: patched it up and got to the concert! The jam will keep in the fridge for about 1 month. 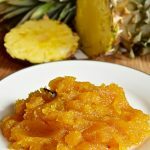 Easy homemade pineapple jam, used to fill pineapple tarts (kuih tart), the iconic festive cookie in Singapore and Malaysia. 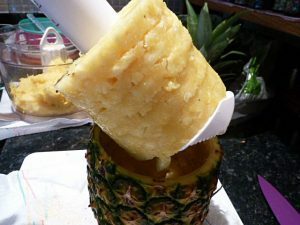 Peel the pineapples and place in a food processor and blitz until fine. Place everything into a heavy based large saucepan. 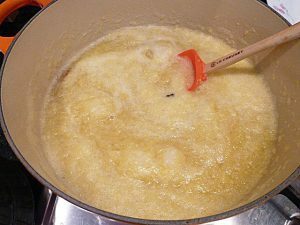 Bring everything to boil, then simmer for about 2 hours, until cooked right down, stirring every so often, especially towards the end, as you don't want it to burn. You'll end up with a thick jam, a dark honey brown in colour. 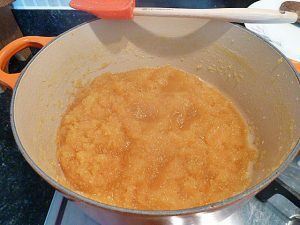 Total cooking time depends on the amount of pineapple you use as well as how juicy it is, and therefore how much liquid needs to be cooked off. 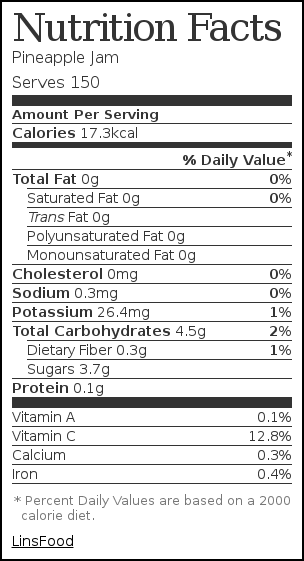 Nutritional info is just for the jam, in 150 pineapple tarts.